Enjoying Thanksgiving Day doesn’t mean gaining a few extra pounds. So come burn a few calories and Run with an Attitude of Gratitude at the annual Utah Human Race on Thanksgiving morning! The Utah Human Race is one of the largest 5K/10K events in the state—with an average of 5,500 participants annually! 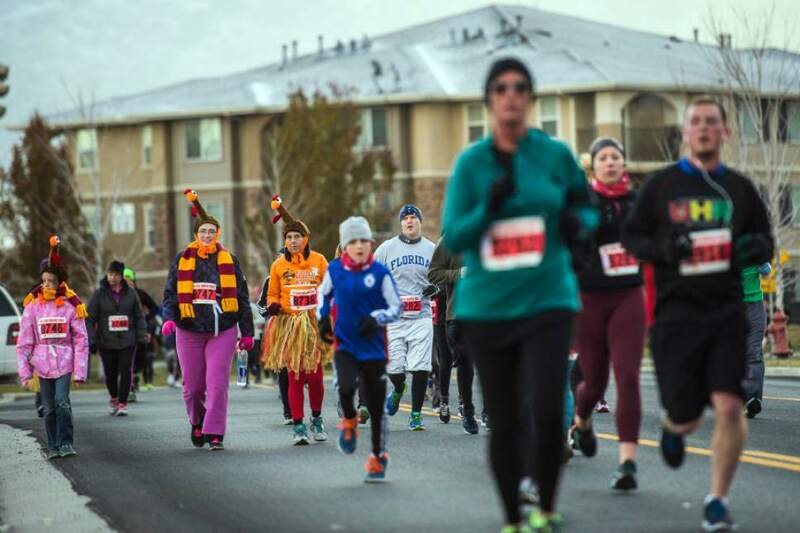 This family-fun race is traditionally held every year on Thanksgiving morning in conjunction with Utah Food Bank’s statewide Holiday Food & Fund Drive. Every sponsorship dollar and registration fee raised from the Utah Human Race goes to provide food and services to Utah communities statewide.